We offer ATM service at both of our locations. 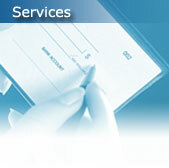 We also offer worldwide service through the Transfund and Cirrus Networks. Check our competitive rates on CD's, IRA's, and Savings accounts. (Interest rates change on a daily basis. Call your Peoples State Bank branch for more information). Safe deposit boxes are available at both locations.